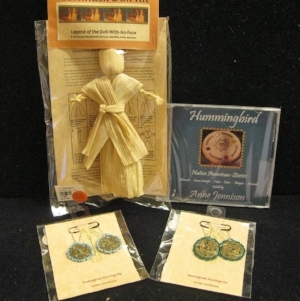 I'm honored that some of my hand-crafted cornhusk dolls and sweetgrass earrings, as well as my storytelling cd: "Hummingbird - Native American Stories" have been accepted by the giftshops at Mount Kearsarge Indian Museum in Warner, NH and also at Strawbery Banke Museum in Portsmouth, NH. You Might Also Want to Visit Anne's Etsy Shop "A Richly Storied Past"
Remembering Seventh Generation Connections . . .